Jordan Peele's Us: The meanings behind the Tethered names. What Is the Significance of the Doppelgänger Names in Us? This post contains spoilers for Us. Major spoilers. The most major spoilers you can imagine. If that’s not your thing, leave the fun house before something terrible happens! Though the doppelgängers in Us are more or less identical to the people living above the surface, they each have at least one unique attribute: their names. We only hear a few of their names spoken out loud during the movie, but it’s notable that Jordan Peele gave names to all of the Tethered, as seen in the end credits and on IMDb. While we may not know how the doppelgängers got those names in the first place—maybe Adelaide named them all?—we can at least try to figure out the meaning behind them. Here are our best guesses, from the mythological to the biblical to the pop cultur-ical. Adelaide is also the capital of South Australia—literally, Down Under—perhaps an early hint that the character we believe to be Adelaide for most of the movie is not from above. “Red” is a little tricker, unless baseball player Red Wilson had a much darker past than we know. In his criminal days, Malcolm X’s nickname was “Red,” which makes it apt for a revolutionary. It also suggests Little Red Riding Hood, another young girl who traveled through the woods before encountering something malicious that looked like a person but wasn’t. Finally, it’s a reckless invitation to film critics to make puns on “Red Scare,” “Seeing Red,” and “Red Dead Redemption,” conclusive evidence of both Red and Jordan Peele’s undying malice. The archangel Gabriel plays a lead role in the Annunciation, appearing on earth to announce that two babies are on the way: John the Baptist and Jesus; he is also said to be one of the three men in Genesis 18 who visits Abraham to tell him his wife will have a son. Similarly, when Gabriel appears in Adelaide’s life in Us, it means babies are on the way for Red, whether she wants them or not. Abraham, besides being the recipient of a baby announced by Gabriel, is sort of a mirror image: he was told by God to murder his own child and very nearly did it. Abraham also suggests Lincoln, and although Us’s Abraham doesn’t exactly seem like a political junkie, he is a liberator of sorts. Also, “Abe” and “Gabe” rhyme, which seems like it should count for something. The name Zora comes from a Slavic word for dawn, while Umbrae is a derivative of the Latin word for shadow. Light. Dark. Always you wrestle inside Us. It was a very different time in children’s entertainment! This is the best and darkest meta-joke in the movie. Kitty Genovese, like Kitty Tyler, was stabbed to death, and the first accounts of her 1964 murder claimed that bystanders witnessed the killing and ignored her cries for help. The relevance of this fact to Kitty’s cries for help in Us is left as an exercise for the reader. 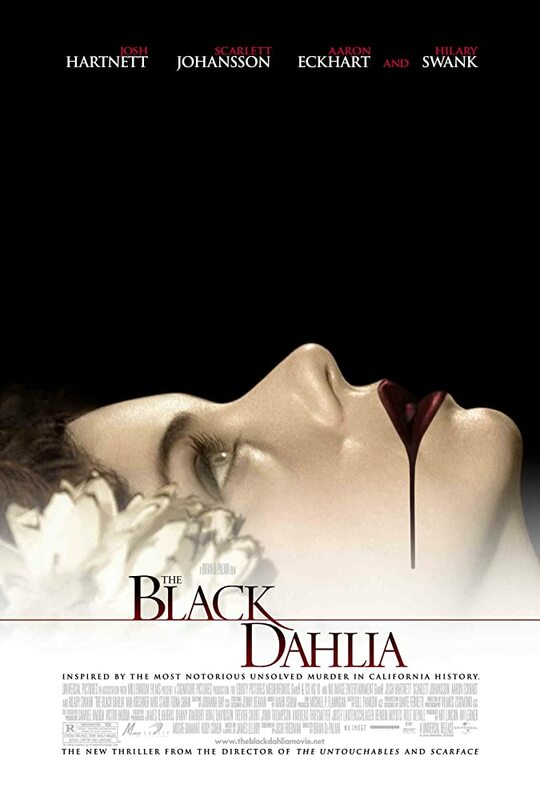 Dahlia, on the other hand, suggests Elizabeth Short, the Black Dahlia, who was found mutilated in a vacant lot in the winter of 1947. The scene in which Dahlia does a terrible job of putting on lipstick will be particularly creepy for anyone who remembers the specifics of Short’s injuries, or the poster to Brian De Palma’s movie about her murder. The “white woman in peril” narrative is such a strong current in our culture that Kitty Genovese and Elizabeth Short became famous simply by being murdered, and not just famous, but cultural touchstones for everyone from Alan Moore to James Ellroy. Quick: name a single murdered black woman who has inspired the same kind of cultural obsession. Us is a film about a black woman in peril, so naming an underwritten, not particularly pleasant white character and her doppelgänger after two white women who secured their place in history by being murdered, unceremoniously murdering woman and doppelgänger alike, and then having the main character continue her adventure more or less untroubled by their deaths, never mind obsessed, seems like a pretty straightforward rebuke of narratives of white victimhood. “Josh Tyler” is something of a mystery: the Biblical Joshua doesn’t seem particularly relevant, and although a horror film loaded up with references to former United States president John Tyler seems like something we’d all enjoy, Us isn’t it. “Tex,” on the other hand, is a rich tex. First, there’s Tex Avery, the legendary Warner Bros. animator whose penchant for irony, sarcasm, and slapstick violence Tim Heidecker seems to be channeling in his brilliant, deranged performance. Second, the murders at the Tyler beach house have echoes of the murders at 10050 Cielo Drive, from the Beach Boys on the soundtrack to the smiling young women stabbing people to death. (Speaking of the Kitty/Dahlia menagerie of white women in peril, how many of the Manson Family’s victims can you name besides Sharon Tate?) One of the killers that night, you may remember, was “Tex” Watson. It’s probably not worth noting that Josh Ritter has spoken out against jingoistic country music while Tex Ritter recorded it, or that Tex Ritter’s grandson is named Tyler, but we’re going to note it anyway. One pair of Tyler twins is ambiguously named: If there’s a book, film or TV show in which characters named Becca and Io are nemeses, we haven’t found it. Wrestlers Becky Lynch and Io Shirai are one possibility, especially since Io is part of a tag team with her sister, who wrestles under the name Mio, but the wrestlers have never met in the ring. But here’s some trivia we did find: The Tylers’ twin daughters are played by the same twin sisters who played baby Emma on Friends, a sitcom that, unfortunately, doesn’t seem to have had characters named Becca or Io, much less an episode called “The One Where Io Stabs Becca in the Neck.” Lindsey and Nix are much easier: Decades after their split, Lindsey Buckingham and Stevie Nicks of Fleetwood Mac are still at each others’ throats. No mystery here. Jeremiah 11:11, the bible verse referenced throughout the movie, is a palindrome, and a fitting name for the doppelgänger of a man who seems to have dedicated his life to it. There is no Book of Alan in any version of the Bible, so Alan is probably named for Alan Frazier, the actor who plays both characters. The ties to Stanley Kubrick’s horror masterpiece in Us go deep: Duke Nicholson, the actor who plays Danny/Tony, is Jack Nicholson’s grandson; Peele promoted Us while wearing the same outfit Nicholson wore in The Shining. This one is a piece of cake: Troy and Brand are characters in The Goonies, played by Steve Antin and Josh Brolin respectively. The one confusion here is that Troy, a spoiled rich kid, is one of the film’s villains, while Brand, although not officially one of the Goonies, is one of their older brothers and more or less a good guy. Why does the aboveground character get the villain’s name? Because in this famous speech, referenced in the film (because one of the characters dimly remembers seeing it), Troy is a symbol of life on the surface, while Brand explores the underworld with the heroes. Nancy Spungen and Sid Vicious. Look them up yourself! Those are all the Tethered characters in the film’s credits, but there are many, many more Tethereds in Us than either Red or Jordan Peele bothered to name . Unfortunately, the Tethereds don’t seem up to the task of naming themselves, so to avoid an awkward situation, you should probably decide what your Tethered is named before the two of you meet. Better get started; who knows how long you have.